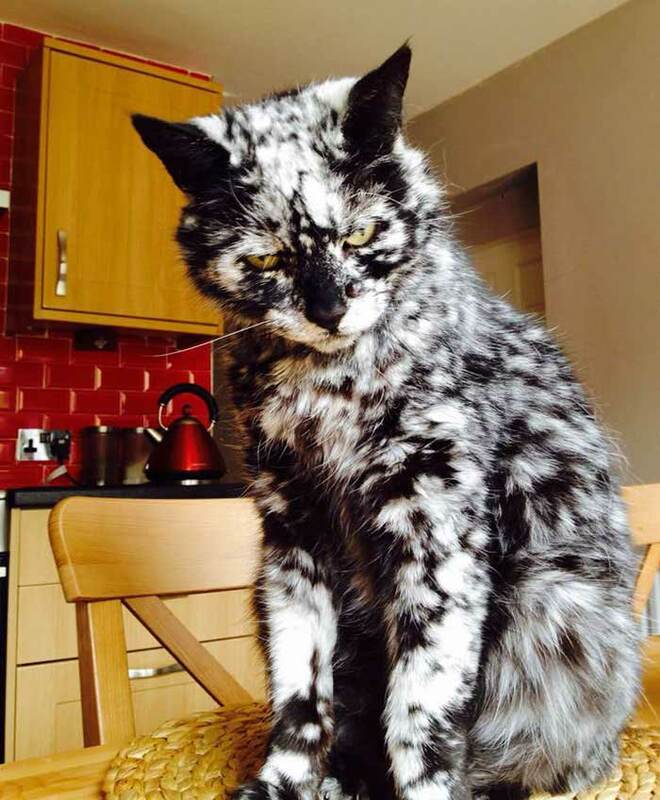 Meet Scrappy, he’s a 19 year-old kitty who started off his life as a black cat. 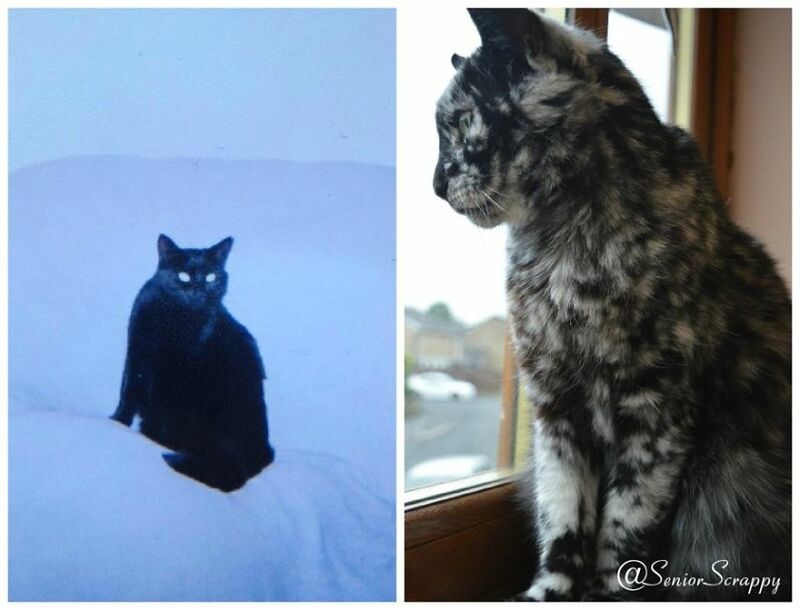 Eight years ago when Scrappy was 11 years-old, white patches started appearing on his once black coat. 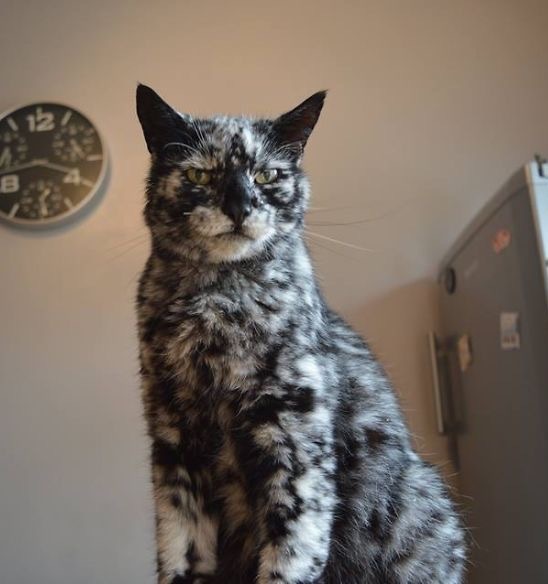 It was thought that he had vitiligo, a skin condition that is extremely rare in cats. 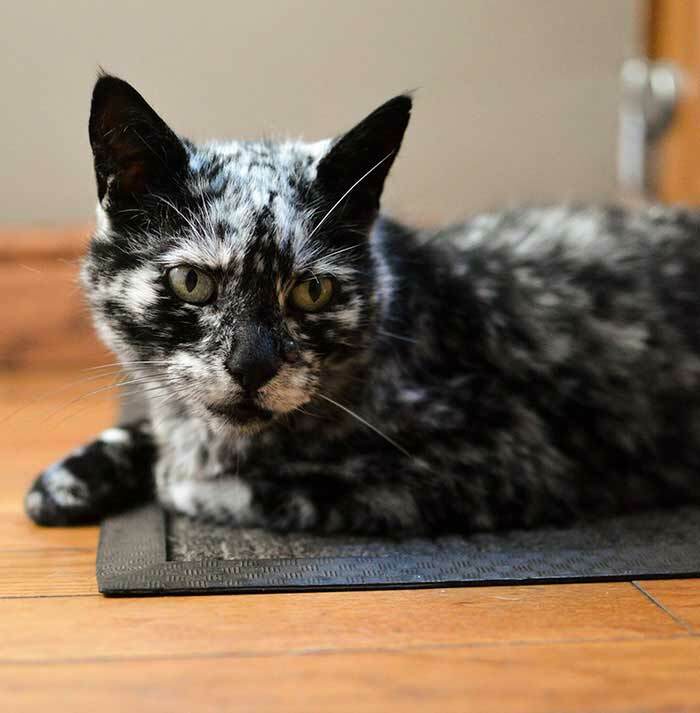 His ever-shifting tapestry of black and white fur has made him a hit on Instagram and his loyal fans can’t get enough. 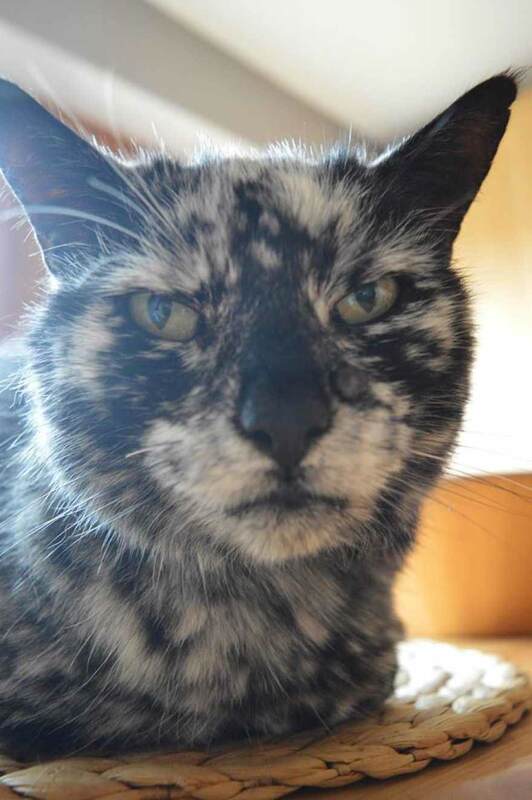 Despite being grumpy and aloof, he is very affectionate towards David, in fact he is the only person that’s allowed to rub Scrappy’s belly so the relationship between the two of them is obviously very special. 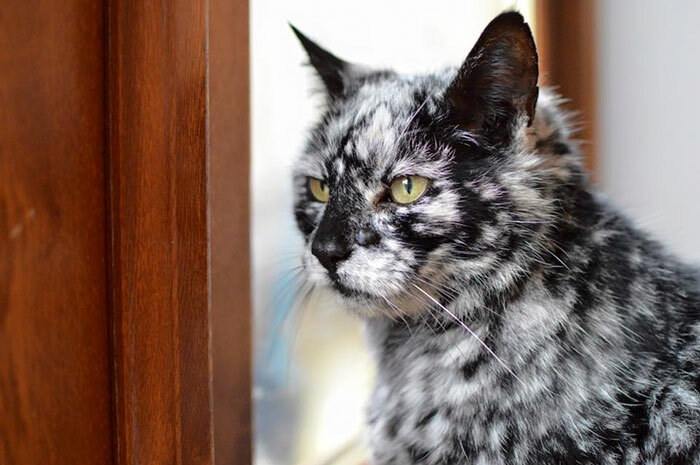 He also has a wart at the side of his nose and like his vitiligo, it doesn’t affect his health at all. 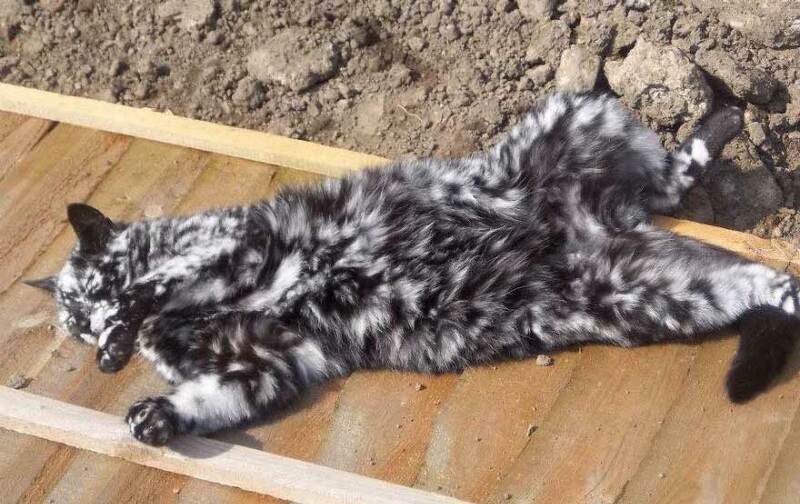 He loves being in the sun (like most black cats who sunbathe), so the fur on his belly looks brown in colour under certain lights. 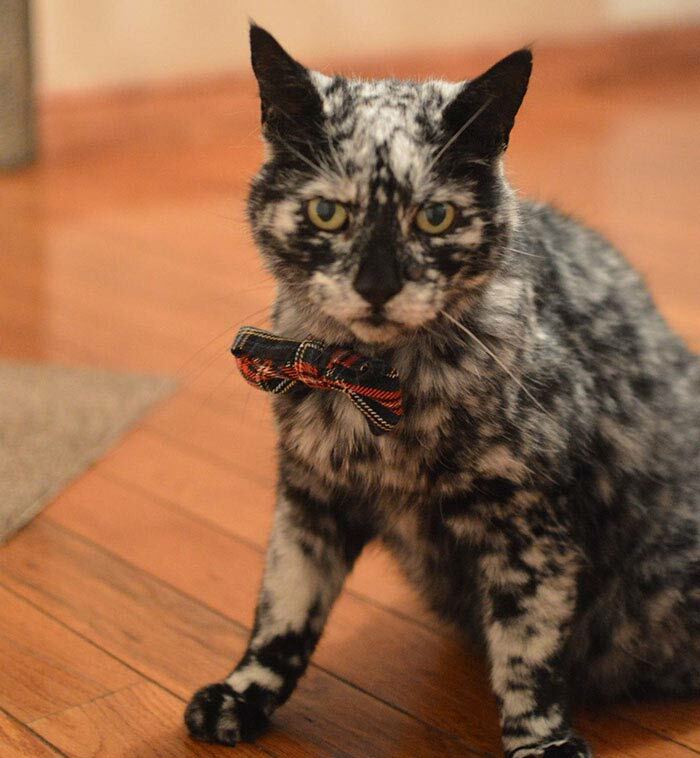 What an awesome senior cat and it looks like he’ll live to a ripe old age. Go Scrappy! 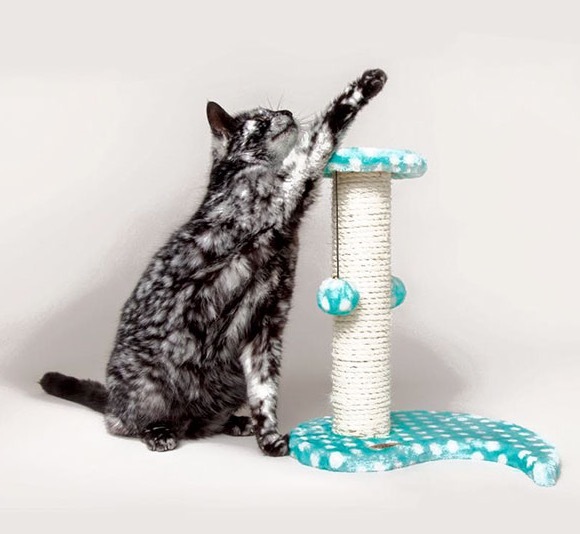 Click to meet 3 wobbly sisters that get all the love and help they need!